The website www.roussakis.com.gr is an e-commerce store selling products via the Internet (hereinafter referred to as an online store or website) created and operated by the company under the name “ROUSSAKIS MICHAEL & CO.” and the token “ROUSSAKIS MICHAEL & CO.”, headquartered in Aspropyrgos, Attiki, at G. Papandreou & Phanarioton Street, and is legally represented, with TRN 145920626 and Tax Office: Elefsina, with the contact info@roussakis.com.gr and the e-shop: +30 5582077 (for the sake of brevity COMPANY). The following terms and conditions will apply to the use of the online store at www.roussakis.com.gr. Any user who enters and trades or uses the services of the online store (hereinafter referred to as “visitor” and / or “user” or “customer” depending on whether it is limited to visiting only the store or also ordering and selling products and Services) is deemed to consent and accepts unreservedly the following terms herewith without exception. If a user does not agree with these terms, he / she must undertake to refrain from the visit, use of this site, as well as any transaction or use of the e-shop services. THE COMPANY reserves the right to modify or revise freely the terms and conditions of use and transactions from the e-shop whenever it deems necessary and undertakes to inform consumers about any change through the pages of this e-shop. The contracts through the online store are drafted in the Greek language. COMPANY is committed to the accuracy and completeness of the information provided in the online store in terms of the identity of the COMPANY as well as the transactions provided by the e-shop. The company, in good faith, is not responsible for and is not bound by electronic data entries made by error / omission in common experience and is entitled to correct them whenever they become aware of their existence. THE COMPANY in the context of its transactions with the e-shop is not liable and is not liable for compensation for any damage or damage resulting from the cancellation of orders, from the non execution or from the delay in their execution, for any reason. It does not guarantee the availability of the products displayed in the online store, but it updates on the basis of the available information about the availability or not of the customer concerned and undertakes, in the event of a change in the data, to inform the customers in good time about the unavailability, Has no further responsibility. The online store provides the content (eg information, names, pictures, illustrations), the products and services available through the site “just as they are”. In no event shall the Company be liable in civil or criminal terms for any damages (whether positive, special or incidental, which, but not limited to, alternatively and / or cumulatively consists of loss of profits, data, lost profits, monetary satisfaction, etc.) A visitor to the online store or a third party for a reason connected with the operation or not and / or use of the website and / or inability to provide services and / or products and / or information made available by him and / or any non- Allow Third party interventions in products and / or services and / or information made available through it. All content of the online store, including badges, signs, images, graphics, photographs, drawings, texts, etc. Constitute the intellectual property of the COMPANY and are protected under the relevant provisions of Greek law, European law and international conventions or intellectual property of third parties for which COMPANY has been licensed for its own exclusive needs and for the operation of the e-shop. Any copying, transfer or creation of derivative works based on this content or misleading the public about the real provider of the online store is prohibited. Reproduction, re-issue, upload, communication, dissemination or transmission or any other use of the content in any way or for any commercial or other purposes is permitted only with the prior written consent of the COMPANY or any other copyright holder. The names, images, logos and distinctive features listed and described in the online store of www.roussakis.com.gr or the products or services of the COMPANY or third parties are assets of the COMPANY or third parties respectively protected by Relevant trademark laws. Their use in the online store does not in any way give them permission or right to use them by third parties. The user / customer agrees and undertakes to use the services, information and data of the online store as the law provides and based on the rules of good faith and business ethics. It is not obliged to use the roussakis.com.gr e-shop for: 1. sending, publishing, sending by e-mail or otherwise transmitting any content that is illegal for any reason, causes unlawful insult and damage to COMPANY Or to any third party, either violates the confidentiality or confidentiality of any person’s information; 2. Sends, publishes, sends by e-mail or otherwise transmits any content that infringes user’s morals, social values, Childhood, etc. 3. sending, publishing, sending by e-mail or otherwise transmitting any content for which users have no right of transmission under the law or applicable contracts (such as inside information, proprietary and confidential information acquired or disclosed as 4. sending, posting, sending by e-mail or otherwise transmitting any content that violates any patent, trademark, trade mark or any other trademark, Copyright or other proprietary rights of third parties of any kind; 5. sending, posting, sending by e-mail or otherwise transmitting any material contained in the software or any other codes, files or programs designed to interrupt Damage to, damage to, or equipment to the operation of any software or computer hardware; 6. willful or unintentional violation of applicable laws or regulations; 7. harassment of third parties in any way; 8. collection or disposal Personal data relating to other users. roussakis.com.gr, under the terms and conditions set forth herein and all applicable laws and regulations, grants you a non-exclusive, non-transferable, limited personal right to access, use and present this website and its contents . This license is not a transfer of title to the site and its details and is subject to the following restrictions: (1) You must keep on all copies of the website and its data all copyright and other proprietary notices and ) You can not modify the website and its data in any way or reproduce or publicly display or distribute or otherwise use the site and its data for any public or You purpose, unless otherwise permitted herein. COMPANY, created this website for the sole purpose of serving its customers. The roussakis.com.gr website is simple and user-friendly while being designed to meet the specific needs of each user. In order to achieve your best service, it is important for you, our customer, to understand that you must provide us with specific information regarding the handling of your order and which are preserved by us. This Privacy Statement and the attached Terms and Conditions of this website describe the method of collecting data from the roussakis.com.gr website, the use of such data by us and the terms and conditions of use of this website. This Privacy Statement refers only to your personal data that you provide to us during your orders on this site. The information given voluntarily by the users of the mentioned site is used by roussakis.com.gr in order for its users to have direct and substantial contact with the store, to provide them with answers to specific questions that they ask and finally to serve and To execute their orders. The information collected by roussakis.com.gr through the website is designed to measure the number of visitors, to define customer requirements for more products and to facilitate the transaction with the company. roussakis.com.gr does not distribute to any other organization or affiliate that is not affiliated with roussakis.com.gr the e-mail addresses, or any other information related to its users and customers. roussakis.com.gr designed its website so that its users can visit it without having to reveal their identity unless they wish. Visitors to our site are asked to provide us with their personal data only if they want to order a product (s), subscribe to our website and / or send email to roussakis.com.gr. roussakis.com.gr collects two types of information about users: (1) data the user gives us when registering as a customer, (2) information the user gives us in order to execute his order from the roussakis- Bros.gr. When you fill out any order form on our website, you will be asked for the name, address, postal code of your area, your e-mail address, your phone number, credit card details, and the payment method for the order. In addition, you may be asked for more specific information, such as an order-to-ship delivery, billing information, or bid details you have requested. roussakis.com.gr makes use of the information you provide to us during the electronic submission of the form in order to contact you regarding (i) the delivery of the order to your site, (ii) to confirm and identify the customer in Any necessary case, (iii) for new or alternative products offered by roussakis.com.gr, (iv) special offers of roussakis.com.gr. Every order processing requires the collection of personal information for delivery or booking of an order. Your submission of your personal data means that you consent to the use of these data by employees of the COMPANY. COMPANY requires its employees and website maintainers to provide their users with the security level mentioned in this Privacy Statement. In no other case roussakis.com.gr can share with others your personal information without your prior consent, unless this is required by the lawful way. Please be aware that under certain conditions permitted or required by law or judgment, the collection, use and disclosure of your personal data that have been collected online without your prior consent (for example, Case of a court decision). roussakis.com.gr allows its users to correct, change, supplement, or delete data and information submitted to roussakis.com.gr. If you choose to delete information, roussakis.com.gr will act to delete this information from its files directly. For the protection and security of the user, roussakis.com.gr will endeavor to make sure that the person making the changes is actually the same person as the user. In order to access, change or delete your personal data, to report problems with the operation of the website or to make any inquiries contact roussakis.com.gr via roussakis.com.gr or via e-mail At info@roussakis.com.gr. The change or correction of your personal data can also be done through the registration page of roussakis.com.gr. Please note that we will do our utmost to protect your personal data, but protecting your password on our website is also up to you. roussakis.com.gr is committed to ensuring the security and integrity of the data it collects on its website users. If you use this website you accept and consent to this Privacy Statement as well as to the terms and conditions of use of the website communicated through it. roussakis.com.gr generally retains the right and the user of the site accepts, freely modifies its pricing policy, modifies the prices listed on the site, and changes and / or withdraws offers at any time with or without prior notice Of its users, who will be informed of the price that is applicable each time from the relevant post on the website. While we try to ensure that all the details, descriptions and prices displayed on this Site are accurate, errors may occur. If we find an error of our own fault in the price of any of the products you have ordered, we will inform you as soon as possible and we will give you the opportunity to re-confirm your order at the correct price or to cancel it. All prices are in Euro, and include VAT. The cost of the shipment will be additionally charged as described herein. Any additional charges that may arise appear clearly and are included in the “Total Cost”, as for example in our branded fresh products, which include the cost of the extra packaging at their cost. The Services may contain typographical errors or other errors or inaccuracies and may not be complete or updated until the last detail. We reserve the right to correct any errors, inaccuracies or omissions at any time and to change or update information on the Site without prior notice. We also reserve the right to refuse to execute any orders you have submitted based on information contained in the Services and may contain mistakes or inaccuracies, including, but not limited to, inaccuracies such as errors, inaccuracies or unannounced information about prices, shipping, payment terms Or return policies. Please note that some products that are standard and packaged by their vendor may vary by a few grams in weight per pack, but always within the range described on our site for a specific product price. Transactions through roussakis.com.gr are made in Euro (€). You can place your order by phone at 210 5582077, 08:00 – 16:00, or 210 5582078. 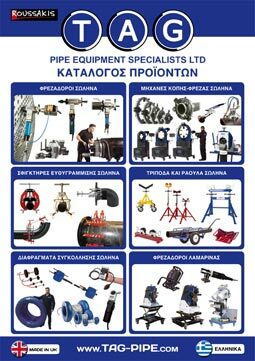 You can come from our store G. Papandreou & Phanarotes – Aspropyrgos. Better call us first to confirm that the products you want are in the store. You can place your order on our website www.roussakis.com.gr. Clicking next to the product you are interested in and automatically entering your shopping cart. * This way you can talk to one of our sellers and solve all your questions or let you know the exact delivery time. For products that are not on our website, please email us at sales@roussakis.com.gr, call us at 210 5582077 or fax us at 210 5582078 24 hours a day. Most products are shipped the same day or the next business day. Products that are not in our warehouse are shipped within 10 business days and directly depending on the availability of the product from our vendor. We sell ONLY in Greece. At our own charge upon request. Products are shipped from 10:00 to 15:00 on a daily basis. By courier in 1 – 2 days at your own charge for areas outside or outside Attica. For heavy items or outside of Attica, shipping is via a bill of lading at your own charge and a deposit must be made to our account prior to shipment. The goods travel on behalf of, at the risk and risk of the buyer, and the vendor does not bear any liability after delivery for shipment to a carrier. The goods are insured only with a written order and expense of the buyer. The costs of delivering and receiving the goods are always borne by the buyer. Spare parts for electrical appliances and tools are not refunded. On delivery: you pay the products with delivery to the driver or the courier. Repayment service is charged with 2 € (+ VAT). Payment by credit, debit and prepaid cards Visa, MasterCard, Maestro, American Express, Diners. Upon agreement on the exact amount together with the commission. After the deposit, contact us by phone or fax at +30 210 5582078 to proceed by sending. All payments made using a card are processed through Alpha Bank’s Alpha e-Commerce electronic payment platform and uses TLS 1.1 encryption with Secure Sockets Layer (SSL) encryption protocol. Encryption is a way to encode the information until it reaches its intended recipient, which will be able to decode it using the appropriate key. Until repayment of the consideration, the ownership of the goods is withheld in favor of the vendor. During the time and in the event of the buyer’s default, the vendor is entitled either to claim the price or to withdraw from the contract or both together, exercising its rights. After receipt of the goods, refunds are only allowed if there is a proven defect in the products. The buyer is required to inspect the delivered goods upon receipt for any defects. In any event, after 10 days from the delivery of the goods, any claim of the buyer is erased from any defects and no refund is accepted. In order to resolve any dispute arising out of this sale, the courts of Athens are exclusively responsible. This exclusive competence is also agreed to resolve disputes from any securities that the buyer signs on this sale. The purchaser explicitly and unreservedly authorizes the vendor to complete the text of any security that may be given to it by an extension clause of local jurisdiction in favor of the Athens courts on the body of the security, recognizing from now that such completion as valid and obligatory for himself. Our company is in the trade at industrial gases and also of cutting – welding machines, materials, as well as gas equipment used for cutting – welding and safety working protection.